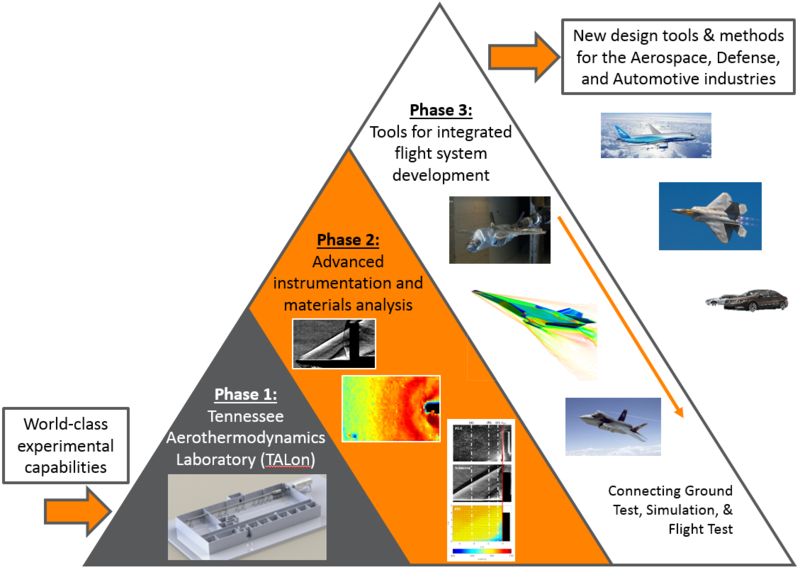 The goal of the HORIZON research program is to revitalize aerospace research in Tennessee. With world-class Aero and Propulsion research being conducted, HORIZON is fostering science-driven technology innovation and leading the way in the development of new methods and tools for Digital System Simulation. By integrating contributions from the entire University of Tennessee (UT) system, HORIZON's research is becoming a premier source for the expert workforce. The HORIZON group hopes to promote outstanding regional research and ultimately extend contributions to commercial aerospace, automotive, and other defense industries. Click here to check out our high-speed camera demonstrations!